Is David Wright awesome again? 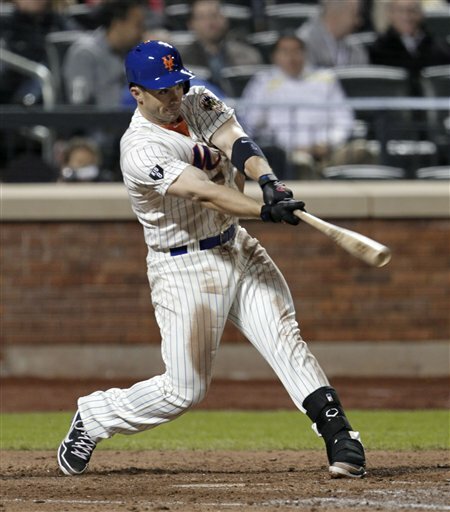 In 20 games in April 2012, David Wright hit .389 with a .494 on-base percentage and a .569 slugging. Wright performed well in the 10 games he played in July of 2011, but has not enjoyed a full month of this type of production since 2010, when he hit six home runs and posted an 1.130 OPS in June. Moreover, his strikeout rate is sitting at 15.7 percent, right around where it was in his pre-Citi Field halcyon days, and he’s walking and hitting line drives at higher clips than he has in any full season in his career. So what does all that mean? In the grand scheme of things, not much: It means he had 20 consecutive mostly good games that so happened to be the 20 games he played in the days determined to be part of April by Pope Gregory XIII in 1582, and, more importantly for the purposes of this discussion, that so happened to be the first 20 games of his 2012 season. Wright was nearly this good for a 22-game stretch from Aug. 24 to Sept. 16 of 2011 — the worst season of his career — posting a .973 OPS that no one would ever have noticed because those endpoints are utterly arbitrary and it was bookended by slumps. Which is to say that no matter how great Wright has looked in his first 20 games of 2012, it’s still too soon to rule out another woeful season — at least by Wright’s standards. We might just be seeing his best stretch. Small sample size, you know. That these 20 games did come to start this season, though, with the adjustments to Citi Field and everything else, means Mets fans can reasonably wonder if Wright is awesome again — not just awesome in the 2009-2011 good-guy, good-player sense, but awesome in the 2005-2008 top-few-players-in-baseball sense. And that’s fun. Since we have no real idea what precipitated Wright’s precocious decline — if it was those walls, the 2009 beaning, the giant arm muscles, the various injuries, the general malaise surrounding the Mets the last few years, the economy, global warming, whatever — we can sit here and dream on the possibility that whatever happened stopped happening and now David Wright is his old awesome self. He’s not going to hit .389 all year and he’s not going to maintain a .446 batting average on balls in play. But the longer he keeps crushing the ball, the more likely he is to keep crushing the ball.